Showing off our Chopping Chops! 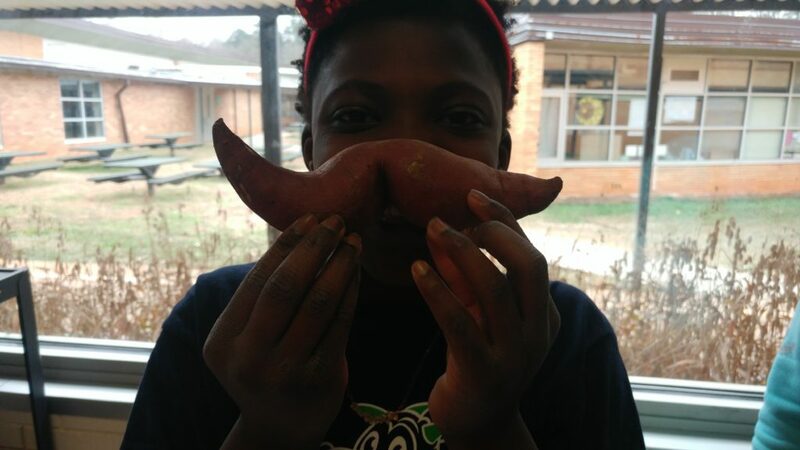 We harvested so many sweet potatoes last year, and we were faced with the question; How can we feature this amazing veg in a way that our kids might not have seen before? We know that they can be made into fries, baked into chips, but let’s do something new and unique! I remembered an amazing recipe (from Pinterest, of course) that I made last winter and knew it would be perfect. A caramelized sweet potato and kale fried rice. It’s a little bit sweet, a little bit salty, and a whole lot of delicious! 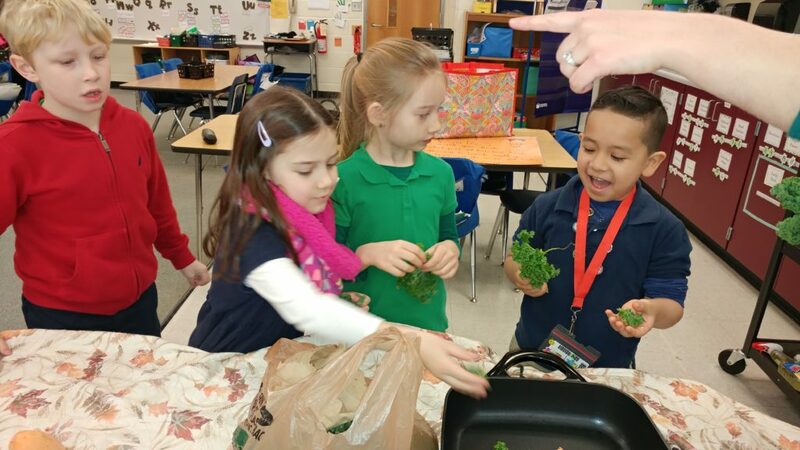 It was the perfect time to harvest our dinosaur kale too, so we were able to feature two of our school-grown veggies. 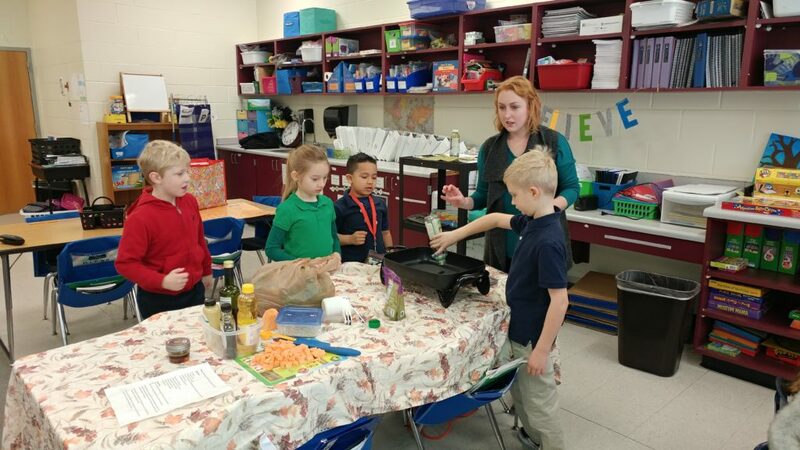 We made this recipe with all of our 3rd-5th classes, and our garden club too! It was a hit! 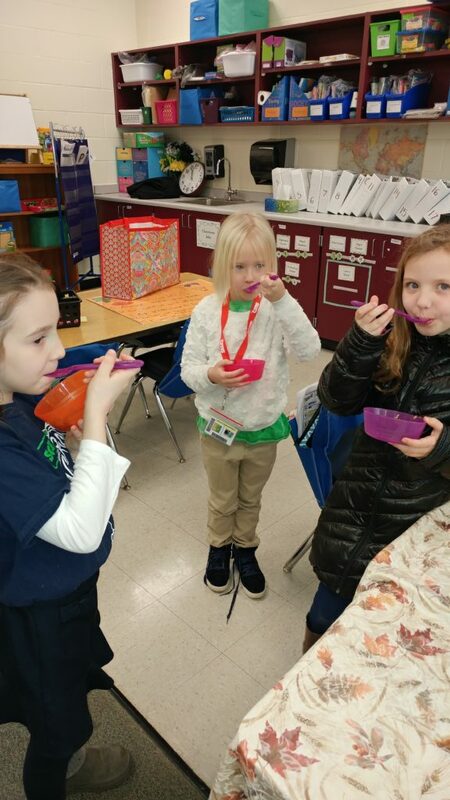 Even if the kids didn’t love it, we got to talk about how they might change it at home to make it perfect for their taste buds. 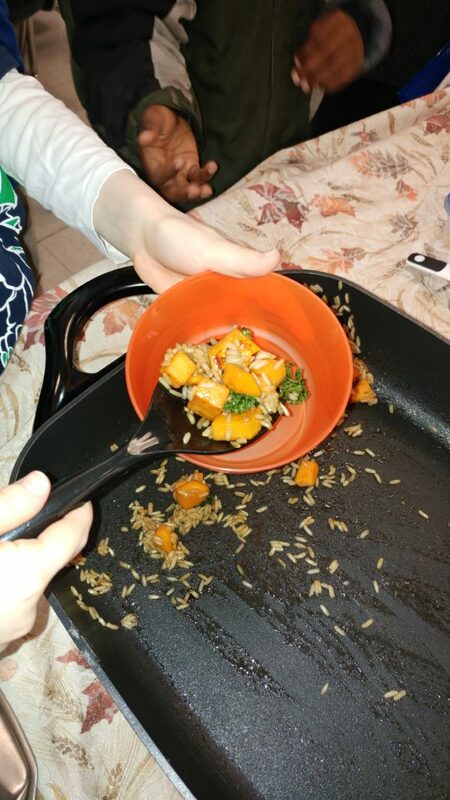 The result was a colorful, flavorful sample that would make a great side dish, or make a bigger portion for the main meal! We sent home the recipe with the kids, but in case this sounds like something you’d want to make too, here is the recipe! 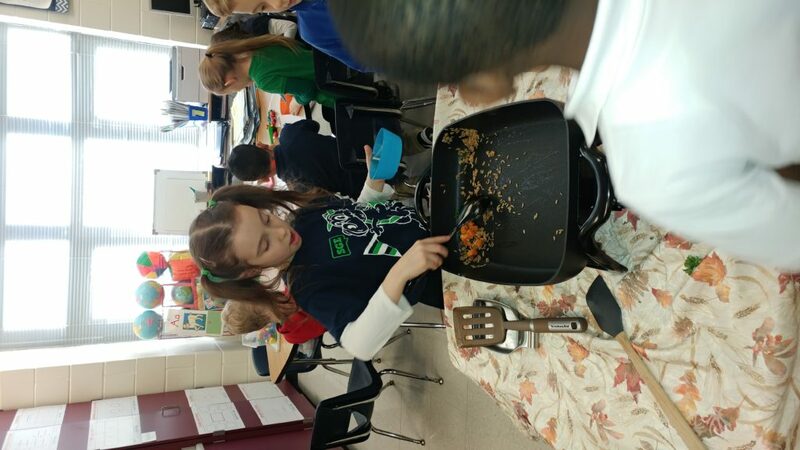 The kids got to practice some knife skills, and learned how to sauté! Mr. Marcus and I enjoyed making this recipe and look forward to making even more delicious, healthy food with them!